Where Is the Best Place to Purchase Motorcycle Insurance in Ohio? Do you need motorcycle insurance in Cincinnati? Call 513-662-7000 to find the great rates on motorcycle insurance in Ohio, Kentucky, or Indiana. Our Cincinnati independent insurance agency is one of the best places to find motorcycle insurance in Ohio. Why are we among the best? The price on motorcycle insurance varies from company to company just like it does for car insurance. Some motorcycle insurance companies are willing to offer better prices than others. We offer Ohio motorcycle insurance from 10 different insurance carriers offering the most competitive rates based on your individual circumstances. For instance, one Ohio motorcycle insurance company may offer fantastically low rates for motorcycle insurance if you’re over the age of 50. Another company offers the best rates on motorcycle insurance in Ohio when you are 20 years old and you buy a high-performance motorcycle. 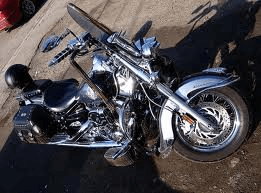 Why You Should Not Purchase Motorcycle Insurance Direct? There are two reasons why you should not purchase motorcycle insurance direct. Some motorcycle owners mistakenly believe that when you buy motorcycle insurance directly with a company that will guarantee you a better rate, in most cases it will not. Why? There isn’t one single Ohio motorcycle insurance company that offers the best rates for every conceivable age group and type of motorcycle. Prices on motorcycle insurance in Ohio vary wildly between companies. The second reason you should not buy motorcycle insurance direct with the company is due to the fact that not every person’s financial circumstances are the same. A professional insurance agent can assist you in choosing the correct coverage for your motorcycle. If you purchase motorcycle insurance directly with companies that do not have local agents in your area, you may not be getting the correct advice that you need to protect yourself financially. Call 513-662-7000 for Motorcycle Insurance in Ohio, Kentucky, and Indiana.